After 12 months of restoration, Stoppelaëre House is to be opened with a view to developing it into a cultural and scientific centre for heritage. Minister of Antiquities Khaled El-Enany and Swiss Ambassador Markus Leitner will open the house Friday. 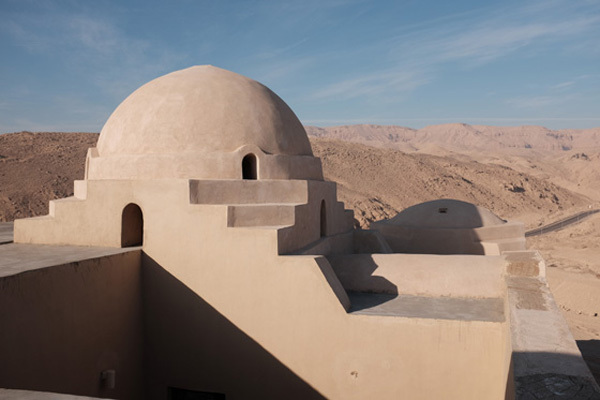 The house is a fully restored masterpiece of 20th century architecture by Egypt's pioneer architect Hassan Fathy. The restoration was part of the Theban Necropolis Preservation Initiative launched in 2008 by the Ministry of Antiquities in collaboration with the University of Basel and the Factum Foundation for Digital Technology in Conservation. Mahmoud Afifi, head of the Ancient Egyptian Antiquities Department, said that Stoppelaëre House is an example of Fathy's mature approach to mud brick architecture. It was built in 1950 for Alexander Stoppelaëre after the completion of the village of New Gourna, a visionary housing project of the late 1940s. 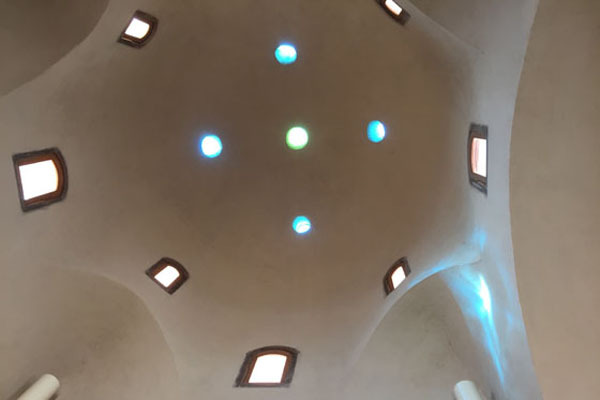 The restoration was funded by Factum Foundation for Digital Technology in Conservation, Madrid, and the work was carried out by the Waly Centre for Architecture and Heritagein Cairo with a team of local craftsmen. 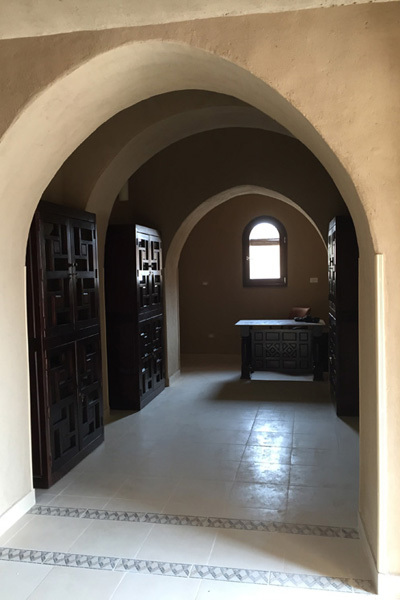 Tarek Waly, one of the leading heritage architects working in Egypt, worked with Fathy for many years and has a deep understanding of his aims and intentions. Great attention has been paid to preserving the building while also making it serve a new function as a state of the art 3D scanning, archiving and training centre. Adam Lowe, founder of Factum Foundation for Digital Technology in Conservation, explained that the new centre at Stoppelaëre House will bring 3D scanning technologies (including medium/long range survey scanning, close range high-resolution surface scanning, composite photography and high-resolution photogrammetry) to Luxor. High-resolution recording and documentation provides a cost effective solution for heritage documentation that will benefit the local community. He pointed out that in 2016, Factum Foundation began training local operators under the supervision of Aliaa Ismail, a specialist in architecture and Egyptology, who will run the centre. “The first two local operators are already fully trained and as the centre becomes fully equipped, the number of people receiving training in data recording, processing and archiving will increase,” Lowe said. He added that the restoration of Stoppelaëre House and the Theban Necropolis Preservation Initiative Training Centre are one of the central elements of the Theban Necropolis Preservation Initiative (TNPI), a project initiated in 2008. The TNPI gained prominence in 2014 for installing an exact facsimile of the tomb of Tutankhamun on the site near Howard Carter´s house. Lowe continued that high-resolution recording and documentation are transforming the ways in which we protect, monitor, study and communicate the importance of vulnerable cultural heritage sites like the Valley of the Kings. Now the initiative is focused on the tomb of King Seti I. Upon the discovery of the tomb 200 years ago by the explorer Giovanni Battista Belzoni, a facsimile was made of the tomb’s wall to put them on show in London. Regretfully, Belzoni’s facsimile was made by casting the walls, which caused significant damage to the tomb. Belzoni and others also removed sections of the tomb that are now in international museums and collections around the world. Stoppelaëre House will become the symbol of a new approach, whereby such scattered fragments are analysed and reintegrated into a whole by way of new technologies. During 2017 there will be a significant transfer of skills and technology in order to facilitate the recording of sites in and around Luxor. Salima Ikram, professor of Egyptology at the American University in Cairo, describes the training programme as a fantastic idea. “It will provide Egyptians with the most up-to-date technologies that will allow them to preserve and document their cultural heritage accurately and completely. This shows how international cooperation can further the preservation of heritage, not just for Egypt, but for the world," she said.